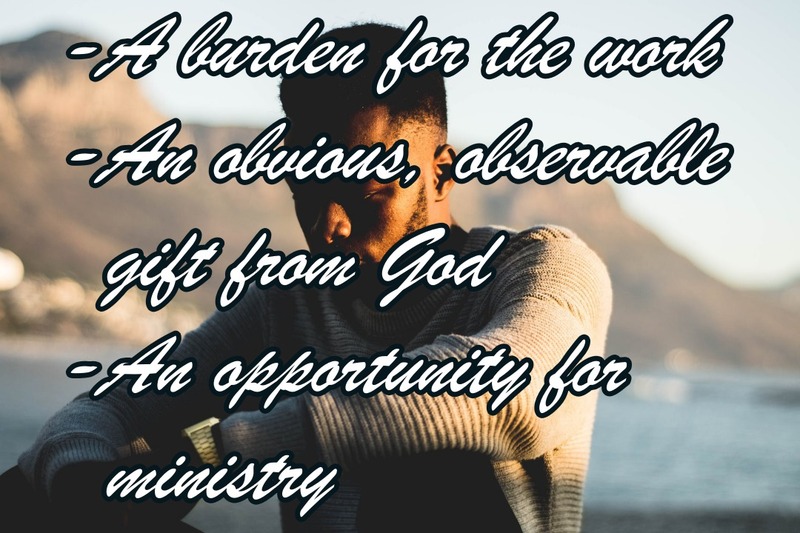 Author marvinmckPosted on October 25, 2018 October 18, 2018 Categories Opinion, PodcastLeave a comment on THE CALL TO THE MINISTRY AND CAN WE TELL WHEN OTHERS HAVE IT? A conviction is something from God and cannot be altered. God never changes. Those things that come from Him could therefore never change. I am convicted, for instance, that the King James Version of the Bible is without error. 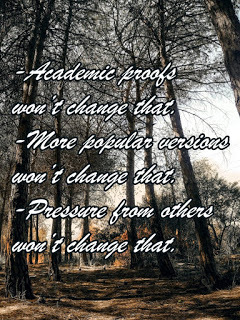 Academic proofs won’t change that. More popular versions won’t change that. Pressure from others won’t change that. I am also, for instance, convicted that the church Jesus built is a Baptist church. I could therefore never go to any other sort. It’s not about convenience, programs, proximity, popularity. It’s not about the personality of the pastor or the friendliness of the congregation. It is about doctrine and authority. I am so convicted of this that I could only attend a Baptist church that is equally convicted. My convictions come not from what a man has taught me. That would be mere convincing. 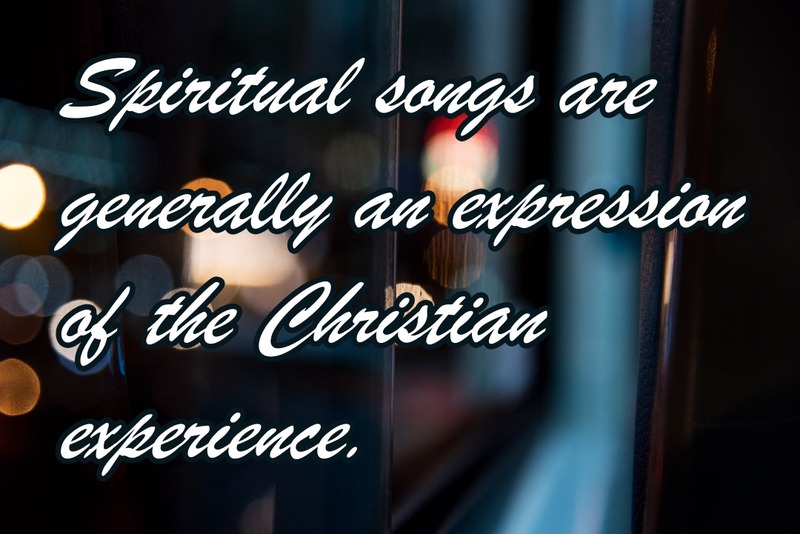 My convictions come from personal study of the Word of God, an understanding of church history and the work of the Holy Spirit upon my conscience. We associate the words “conditional” and “unconditional” with the opposing views of salvation that are held by the Calvinists and the Armenians. 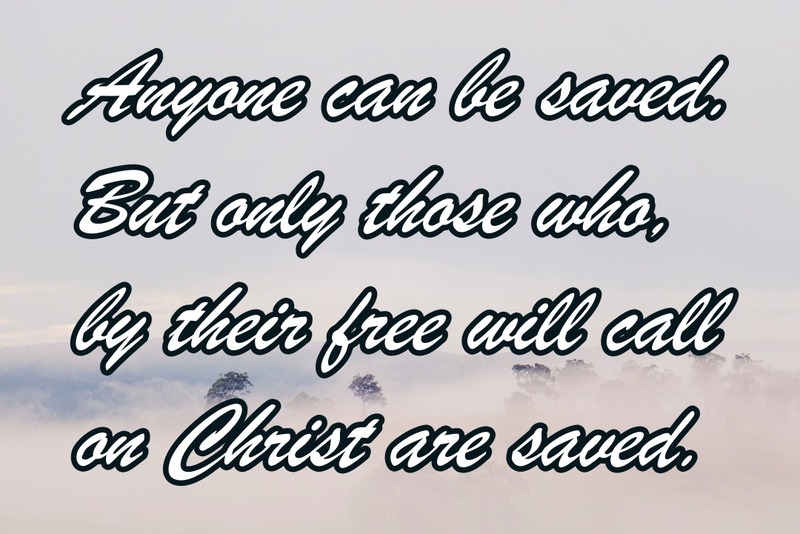 The idea of it is that, if you are elected by God for salvation, you will go to heaven regardless of what you do or do not do concerning Christ. Their claim is that a person’s salvation is based entirely upon what they choose to do with Christ. You are saved of your own free will, and conversely, once saved, you can choose, by will or by actions, to “unsave” yourself. Like almost everything in the Bible, the truth isn’t found in one extreme or another but somewhere in the middle. No it’s not. It is not complicated. A person is either married or single. The only thing that complicates the point is that some people don’t wish to be identified according to the obvious. This demonstrates a key issue in our world today. Walking in integrity, doing the right thing, is not complicated at all. It is as simple as accepting the authorities that determine right and wrong, and choosing right over wrong. 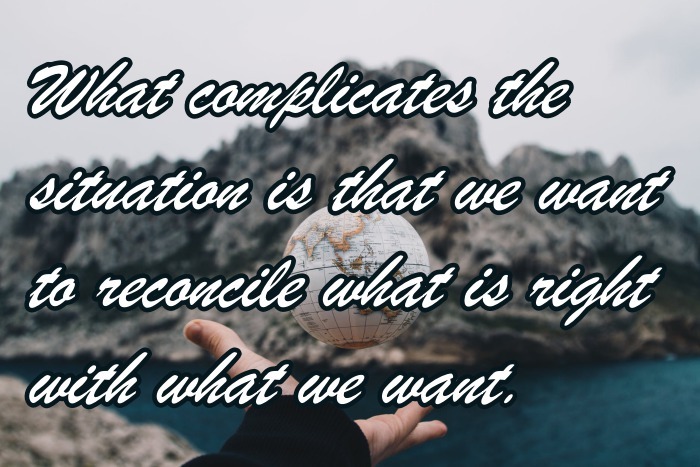 What complicates the situation is that we want to reconcile what is right with what we want. but He does that most often through the natural system He has put into place in this world. This world has an established course of of operation; things that work and things that don’t work. Wise people learn those things that work. Wise people learn those things that don’t work. Wisdom is the application of knowledge. It’s putting into practice what we know to work successfully. So The answer to the question, “Am I doing something wrong?” is, “Yes. and No.” If you’re having trouble in business or succeeding in life then, yes you’re not following that natural course that leads to success. 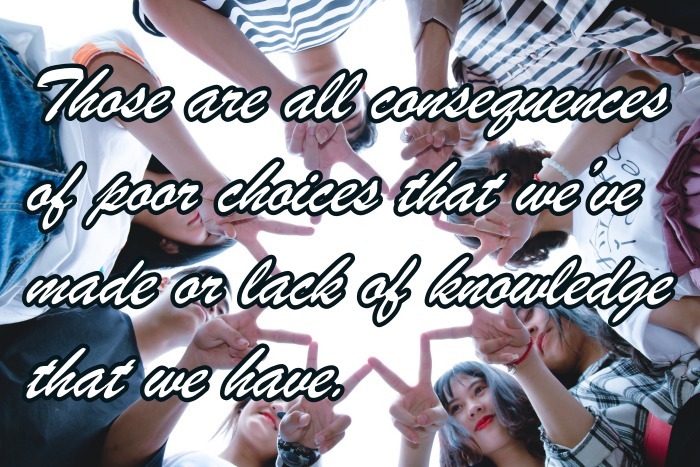 Those are all consequences of poor choices that we’ve made or lack of knowledge that we have. The good news is this means we can do something about those problems. We can gain the knowledge that we don’t have. We can change the behavior that we’re doing. We can adjust the attitude of our mind. We can gain the wisdom to apply what we know. Author marvinmckPosted on August 3, 2018 August 2, 2018 Format AudioCategories Opinion, PodcastLeave a comment on Am I Doing Something Wrong? 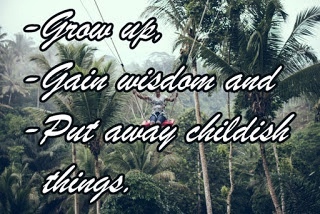 The point is to grow up, gain wisdom and put away childish things. I can’t help but think that the person who isn’t happy with their life is the person most likely to train their children to avoid “adulting.” The competent adult, who charges into life, handles the difficulties of life with Christian grace and looks forward to an abundant entrance into the everlasting kingdom of God, will raise up children to do the very same. My concern is that the current church paradigm is robbing our churches of the most valuable asset we possess; the wisdom of the seasoned, hoary headed preacher. 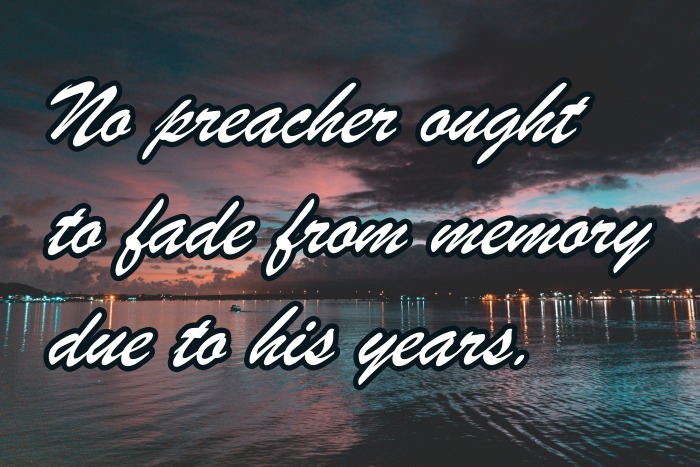 No preacher ought to fade from memory due to his years. We need his wisdom until his race is fully run. It’s all the rage these days, and all the talk. On college campuses, places where ideas have traditionally been freely given expressed, even those that are dangerous or detrimental to national health, safe zones are now the norm. Ideas deemed offensive to the administration are forbidden expression on the grounds those ideas might offend or injure the psyche of some of its students. Generally those ideas deemed offensive are either conservative, Christian or both. Here is the problem. The corrupt nature of man, even of preachers, will always lead them away from, not toward, holiness. Without challenging their new directions, without at least attempting to pull them back. If we don’t risk offending them they will certainly drift into unsafe territory. 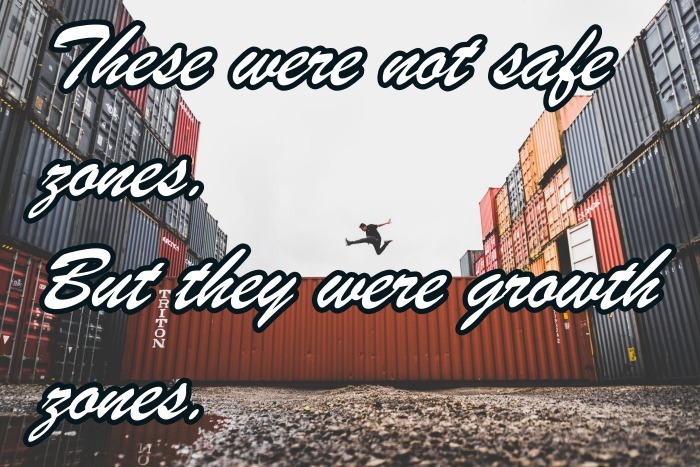 All the safety zones ever do is leave a people unprepared for danger. Thirty five years ago I learned that, as the world gets more evil, the churches slide toward the same evil, maybe just fifty years behind the world. Anymore it seems like older preachers have become afraid to warn the younger preachers to try to reverse the trend instead of giving in to it. Thank you! It is a great joy to me to know you read the thoughts and lessons God has given me in His word. Secondly, I would love to hear from you. Please feel free to leave comments. For more than 4100 earlier Daily Visits with God visit https://mckenzie-visit-with-god.blogspot.com. There you will find daily visits going back to 2006. Anyone with a human heart would counsel the discouraged church planter to throw in the towel and come home. Here’s the thing; the way to plant a church is to keep on doing it. It won’t get done unless someone keeps at it. 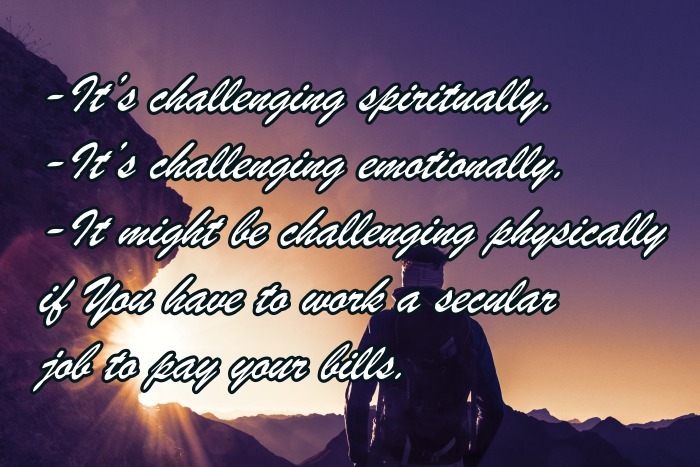 Church planting is not just hard, it is impossible. If God doesn’t step in the whole work is hopeless. But God does step in. God honors faithfulness. I can’t tell you how many times I would have quit if only I had had someone to give me permission. Fact was, I didn’t. I didn’t come from a larger, established church. I came out of a church plant that had come out of a church plant. If I had called my sending pastor to bellyache about how difficult it was … well, I just would not have done that. He was in the very same difficult spot I was. We could commiserate together, but there was no use going back home. It wasn’t any easier there.